A favorite graphic designer used to admonish me when I complained about limiting conditions to our work. He said restrictions are great — they spur creativity. I find that theory pops up in a new scientific report from our Gorilla Doctors and the One Health Institute at UC Davis. Our team of veterinary researchers in Africa have figured out how to detect viruses in wild mountain gorillas and monkeys without touching them. While chewed plants and sticks might not make a beautiful photo, using them as a health tool really is an elegant solution to a confounding limitation. 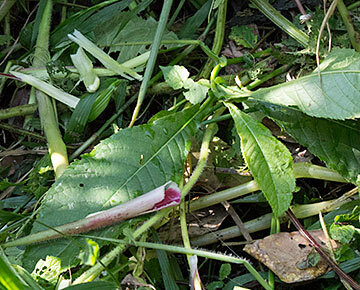 The team collects discarded sticks and plants and tests them for a variety of viruses back in the lab. Gorilla Doctors, an international veterinary team lead by UC Davis, is dedicated to saving the mountain and eastern lowland gorillas “one gorilla patient at a time.” Think about what our primate health team normally faces as it tries to learn about ape and monkey illnesses in East-Central Africa. As a matter of practice and principle, the veterinarians and their crew of porters and trackers aren’t allowed to disturb the primates’ natural behaviors unless they have to. Roughly 880 of these critically endangered subspecies remain in the wild. About 60 percent are accustomed to humans as a result of ecotourism in the region. They are at high risk for contacting human viruses and bacteria. In fact, these infectious diseases pose one of the greatest threats to the survival of great apes in the wild. 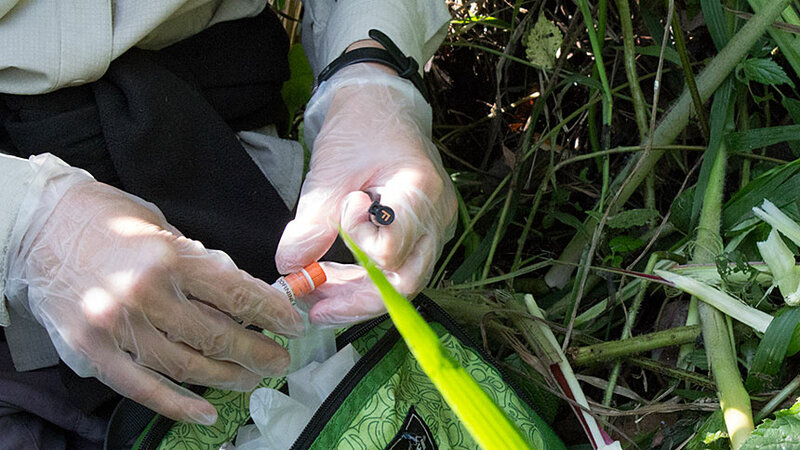 Sure, you can learn from feces and urine sampling, but sometimes researchers need more evidence — and a simpler, more effective way to collect it — in their quest to monitor primate health before a virus becomes an outbreak and we lose a critical number. And, hey, it’s rugged territory where these wild African primates live. 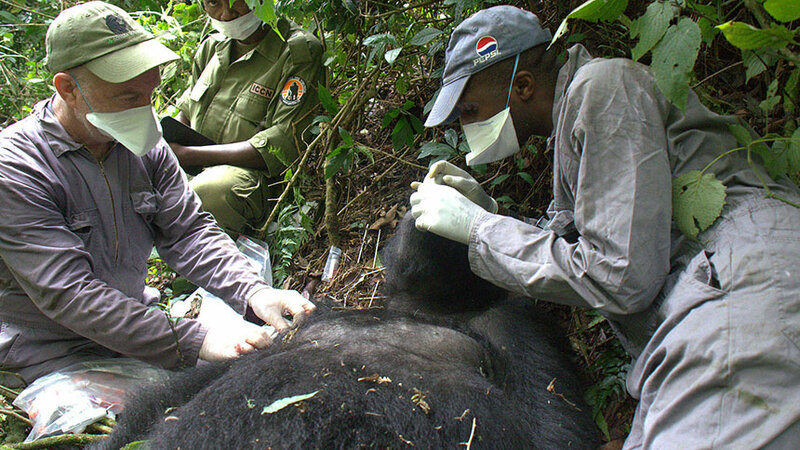 Gorilla Doctors is ministering to the health of gorillas and golden monkeys in the mountainous Virunga Conservation Range, which spans Rwanda, Uganda and the Democratic Republic of Congo, and in the Bwindi Impenetrable Forest in Uganda. These primates don’t follow a path the way you might if you were following backpack trail in the Sierra Nevada. They travel under and over bushes, around trees and up steep hills. 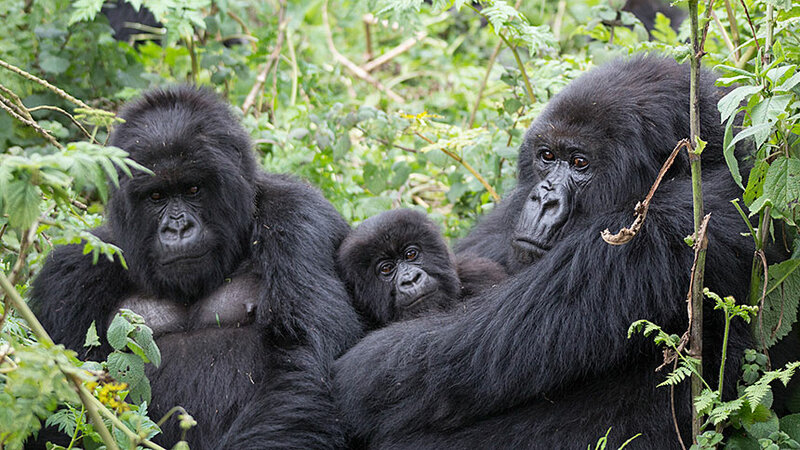 Sometimes, such as in Rwanda or Uganda, they are living at high elevations. Researchers must follow where gorillas and monkeys lead. The new method for detecting illnesses in golden monkeys and mountain gorillas was developed as our researchers followed the primate families. As the monkeys and apes chewed their way through their day, they discarded leftovers that the researchers picked up. What did the scientists find? Both RNA and DNA viruses. 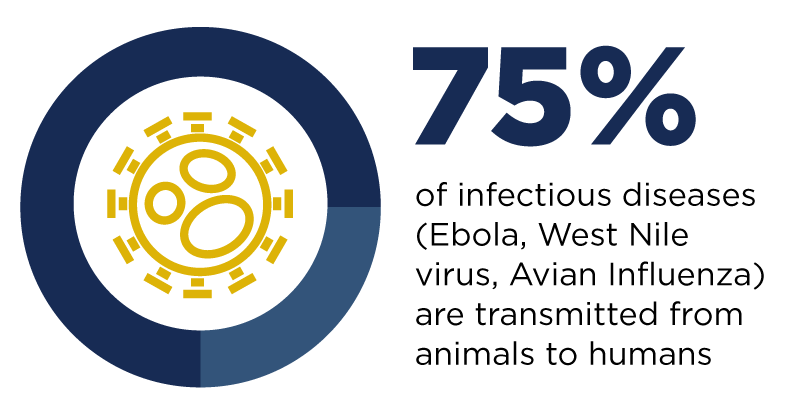 Our team particularly was interested in detecting the RNA viruses because they are more likely to be traded between humans and wildlife. The solution is making history in the primate research world. “This is the first time that viruses have been able to be detected on plants chewed by primates,” according to Tierra Smiley Evans, a graduate student at the UC Davis One Health Institute who led the study. At UC Davis, you hear a lot about how students like Smiley Evans and our faculty are innovators. This study is great proof of how scientific ingenuity addresses complex health problems by recognizing that the health of domestic animals, wildlife, and people are inextricably linked with each other and the environment. That, by the way, is the One Health approach. I was intrigued to learn that the concept of picking up after gorillas was created as a problem-solving measure by Smiley Evans. On a research project in Nepal and Uganda, she learned that if researchers coated ropes with jam or mango juice, monkeys used them as chew toys. The scientists were able to retrieve the ropes and collect saliva samples to do their virus detection work. Fabulous idea for the first sets of monkeys, but it wouldn’t work for gorillas in East-Central Africa. It would mean direct interaction — and we know that isn’t allowed in many cases. Faced with a wall, Smiley Evans went around it. Kudos to her. I’ve been a Gorilla Doctors supporter for several years. This is an organization with history that connects to American gorilla researcher Dian Fossey — who attended UC Davis as an undergraduate, at least for a while (she wanted to be a veterinarian). 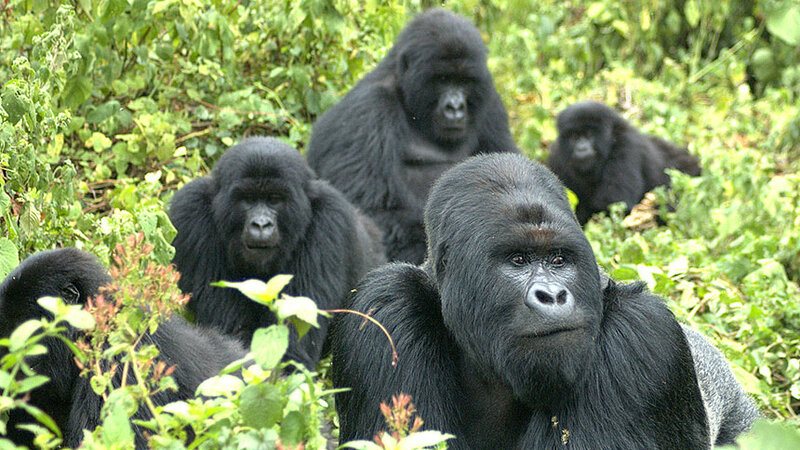 I like the idea of UC Davis working to save endangered species, especially the wild mountain gorillas in Africa. If you also have a soft spot for Gorilla Doctors and the broader appeal of helping the One Health Institute, please consider joining forces with us for a healthier world. Susanne Rockwell, a longtime campus communicator and UC Davis alumna, is web editor for the homesite at www.ucdavis.edu.